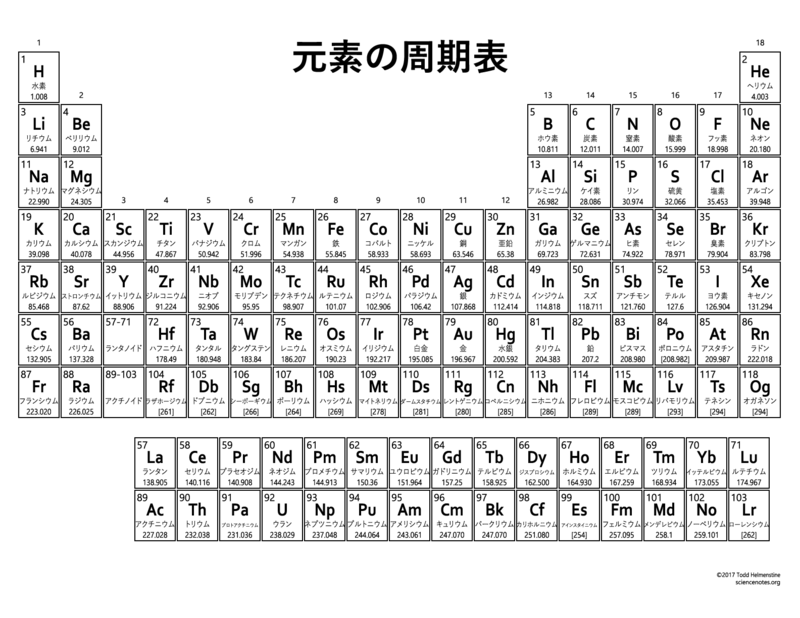 Have you ever needed a Japanese periodic table? This genso no shuuki-hyou will give you just what you need. 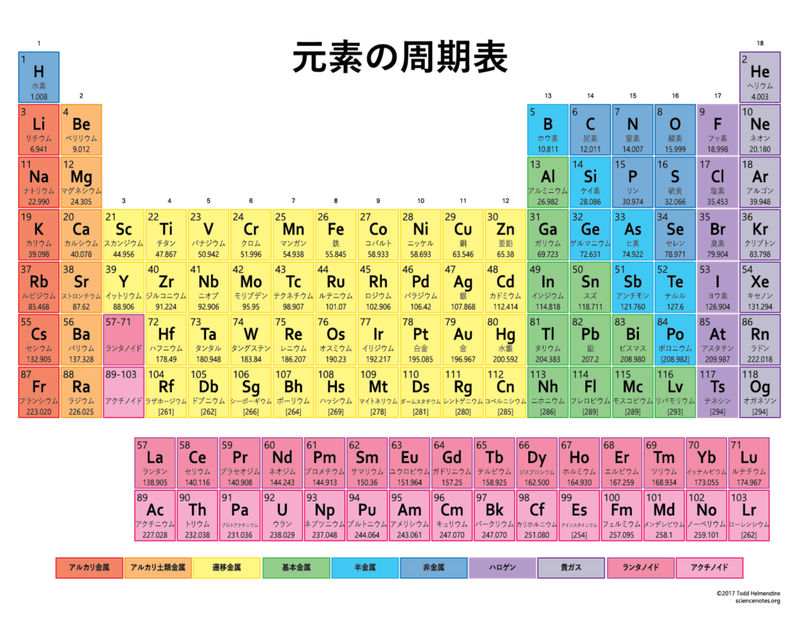 This color periodic table contains all 118 element’s atomic numbers, symbols, names in Japanese, and atomic masses. The colors show the different element groups. It is optimized to print on a standard 81⁄2” x 11″ sheet of paper but scales down nicely on A4 paper. For best results, download the PDF version of the table and let your PDF viewer adjust the print scaling. Just remember to select the landscape printing for best fit. If you don’t want a color version or don’t have access to a color printer, there is a black and white version for you. This periodic table contains the same information without the element group color coding. Download the PDF and print your copy today! If you’re interested in seeing these element names in list format, this table has each element’s name in English, Japanese, and pronunciation key in English.